Dreams puzzled early man, Greek philosophers spun elaborate theories to explain human memory and perception, Descartes postulated that the brain was filled with animal spirits, and psychology was officially deemed a science in the 19th century. 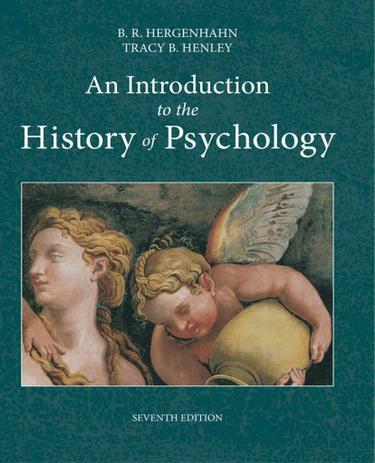 In this Seventh Edition of AN INTRODUCTION TO THE HISTORY OF PSYCHOLOGY, authors Hergenhahn and Henley demonstrate that most of the concerns of contemporary psychologists are manifestations of themes that have been part of psychology for hundreds--or even thousands--of years. The book's numerous photographs and pedagogical devices, along with its biographical material on key figures in psychology, engage readers and facilitate their understanding of each chapter. Available with InfoTrac Student Collections http://gocengage.com/infotrac.